The RollingFWD vibrating foam roller has been in development for nearly two years now. It’s been a lot of trial and error and we’re onto prototype #6 which will go into production later this year! The first two prototypes were built by me in my basement and the last three prototypes were a team effort with engineering expertise by Samson Design. With each prototype we solved various obstacles. Early prototypes were short (12-18″) and adding vibration in a small space was relatively easy. However, when we tried to scale the design to larger, full-length roller, we found the vibration wasn’t sufficient to extend the length of the roller. This wasn’t acceptable so we re-engineered several times to get three speeds of vibration distributed evenly over the full 36 inches of foam. Early prototypes were corded out of necessity. But the world is wireless. No one wants to lug a cord around or try to do a rolling routing tethered to a wall. It was imperative to integrate a rechargeable battery in the final product and we spent a lot of time sourcing industry-leading lithium ion batteries that last up to 13 hours. 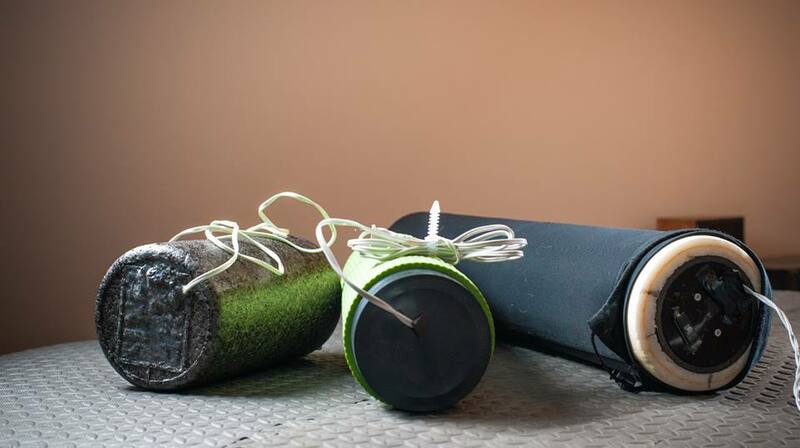 We wanted a robust battery that could be used in a professional setting where several people utilize the roller in a day in gyms, yoga studios or medical/therapy offices. Vibration was perhaps the biggest obstacle we faced, but prototypes have also allowed us to determine many other features including the appropriate size and number of motors. With each prototype, we were able to get real-time feedback from athletes and medical professionals. It’s this iterative process and feedback cycle that makes us confident that the RollingFWD vibrating foam roller provides the best rolling and recovery experience! With prototypes #4 and #5, we began to use 3D printing. It’s such a flexible and affordable way to build custom parts which made a huge difference in our ability to prototype new designs. 3D printing also allowed us to create a super-modular design and even switch out the electronics easily as we made improvements. Two years and six prototypes later, we’re ready to roll out the first production run of vibrating foam rollers. But we’re not stopping there. Our goal is to continue to innovate and re-think traditional recovery tools so you can keep doing the activities that you love. Prototyping will always be a big part of that process. Follow us as we continue to upgrade foam rolling and bring the best possible recovery tools to the market…we’re already thinking about our next prototype. Keep on rolling! Be the first to know about product updates, releases and discounts!